Update February 2019: the new Todmorden Toad Patrol website is live! 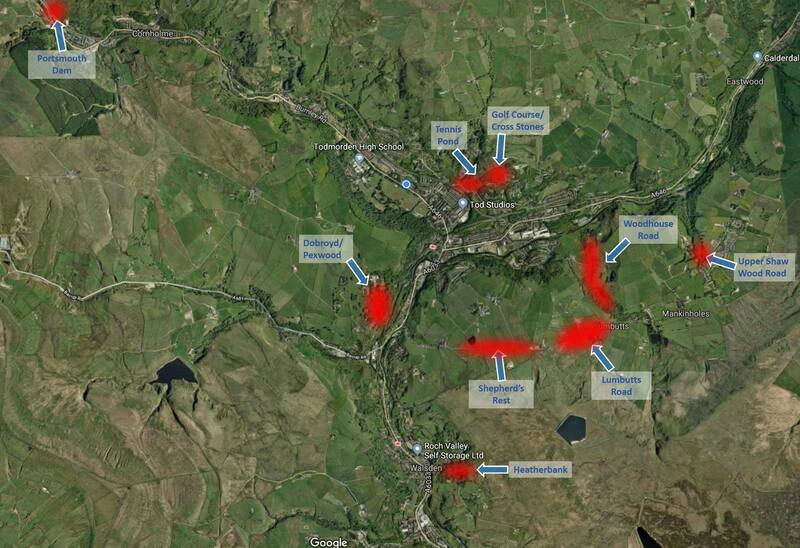 Each year, the great amphibian migration takes place at 10 sites in the Todmorden area between mid-March and mid-April. Toads, frogs and newts tend to be most active on warmer nights, often when there is light rain. Rather than ‘crossing the road’, they are often walking up or down it, as the road is often the most direct route to get to their breeding ponds. Unfortunately, hundreds of toads and other amphibians are killed on the roads each year. In Todmorden, there is a dedicated group aiming to reduce road casualties and organised toad patrols take place on most evenings during the migration. We’re asking people to be extra careful when driving at night – for the sake of both the toads and of the volunteers working hard to protect them. If you do find toads on the road, and no volunteers are around, please take the time to move them to somewhere safe and dark, preferably close to their pond (if its location is known). or to find your nearest patrol, see Froglife.